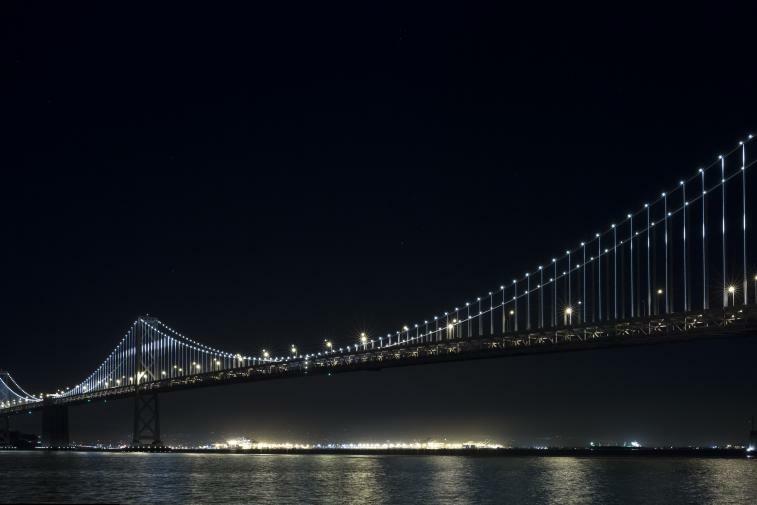 The Bay Lights, a Dynamic installation featuring 25,000 Philips connected LEDs, returns to Bay Bridge. 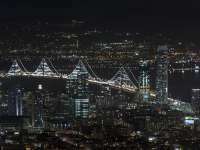 This Saturday, the non-profit arts organization, ILLUMINATE, the California Department of Transportation (Caltrans), the Metropolitan Transportation Commission (MTC) and world-renowned artist Leo Villareal will officially re-light The Bay Lights, an iconic LED lighting installation on the San Francisco Bay Bridge, using equipment developed by Royal Philips the global leader in lighting. 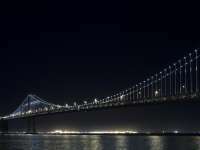 The artwork, which originally appeared in March 2013 as a two-year installation, will now permanently illuminate the San Francisco Bay’s night sky with 25,000 Philips connected light points and an advanced cloud-based connected lighting platform to remotely monitor and maintain the lighting system. The new installation uses eW Flex Compact lighting from Philips Color Kinetics, featuring individually controllable white light LED nodes in a durable, flexible form factor, which are four times brighter than those in the original installation. 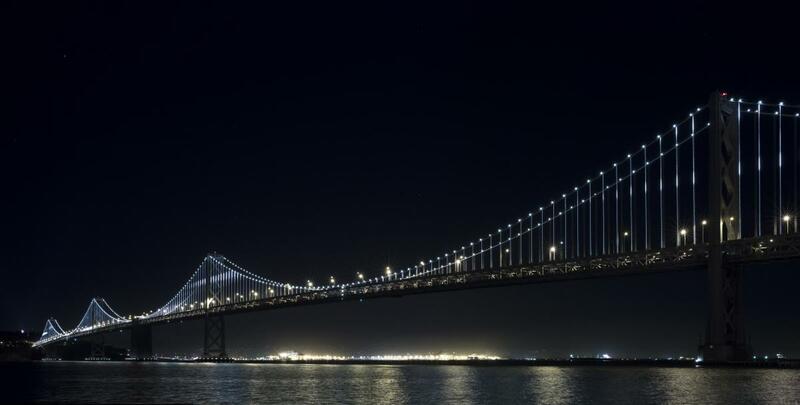 The unique attributes of eW Flex Compact allow low-profile, low-power, intelligent points of white light to be installed across nearly any interior or exterior surface, making it an ideal choice for The Bay Lights project. 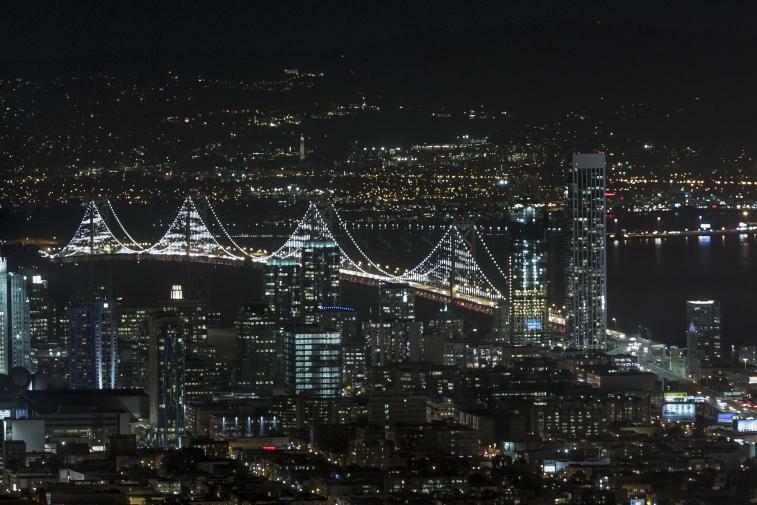 Dynamic capabilities of The Bay Lights project are enabled by an underlying Ethernet-based data network, in which each of the 25,000 controllable light points are linked for simultaneous control. The installation is further enhanced by Philips ActiveSite System, a cloud-based connected lighting platform that affords remote diagnostics, reporting, data analytics and control for efficient installations management. Overall, the project uses roughly 4.5 miles of cable and 75,000 LEDs to create a monumental light canvas for Leo Villareal’s complex algorithms and patterns, which dynamically recombine, transforming the bridge into a living work of art.